1983 was the beginning of our journey that led us from San Francisco to Big Sur. It's a classic story of city folks with a hankering to raise a few kids and live off the land in one of the most beautiful places on earth. Over the years they have grown into a small family wine business. As they better understood the terroir, and became more sophisticated with their winemaking goals they moved to the next level. 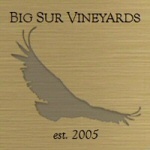 Big Sur Vineyards teamed up with Ryan Kobza, a young winemaker working in Monterey County since 2011. He has helped them immensely with branding and creating an outstanding wine portfolio. 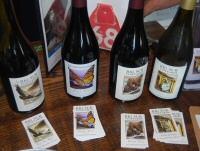 Their first vintage was 2013 where they bottled four wines - Pinot Noir, Pinot Noir Reserve, Chardonnay, and of course, "Big Sur Red."